Tucson Originals had this one planned for last year but unfortunately it got cancelled. Bummer. 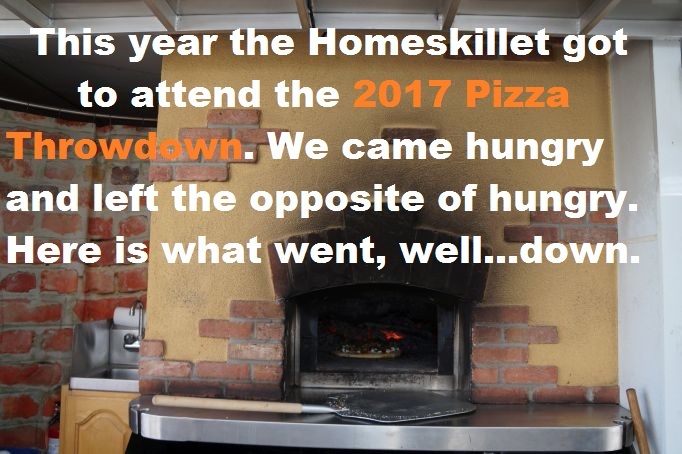 This year, 2017, they brought back the Pizza Throwdown and, man, did we have a blast eating all of the foods, drinking the beers and sampling delicious desserts. The turnout was really great, packed into Fresco Pizza up on Speedway, so it was tight maneuvering around with a camera in one hand and either food/beer in the other. 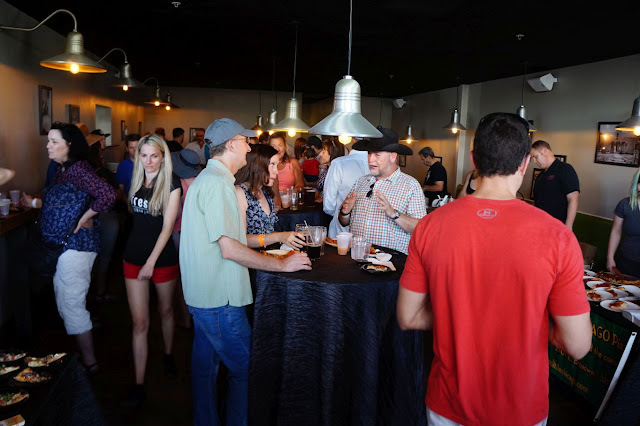 It was cool to see so many people show up for the throwdown and everyone seemed to be having a really fun time. Even though we were jammed in like anchovies. But lets get down to the yummy business at hand here! First of all it was really hot outside so thankfully the event was held inside. I felt kinda bad for Scott Volpe of Fiamme Pizza who was set up in the parking lot making his incredible Neapolitan pizzas next to a 800 degree oven. Yowtch. Once inside, it was time to grab a much needed beer from Crooked Tooth Brewery. They were serving up two different styles of IPA. One was called Hippie in the Headlight, which was refreshing, a good hop kiss with passion fruit and even banana notes. The other was called Quaker with Oranges, had a dryer hop taste but absolutely loved the tangerine essence that stuck with you way after you sip it. 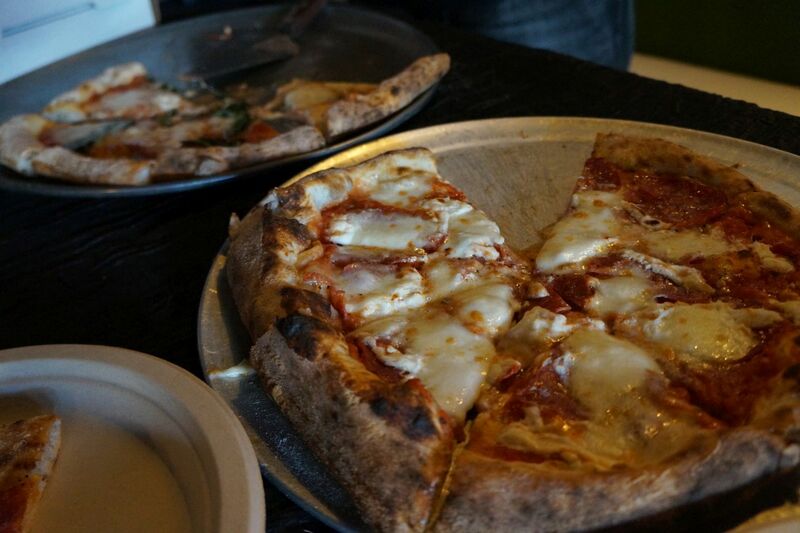 Now that we had the required beers in our belly it was time to chow down on some pizza! 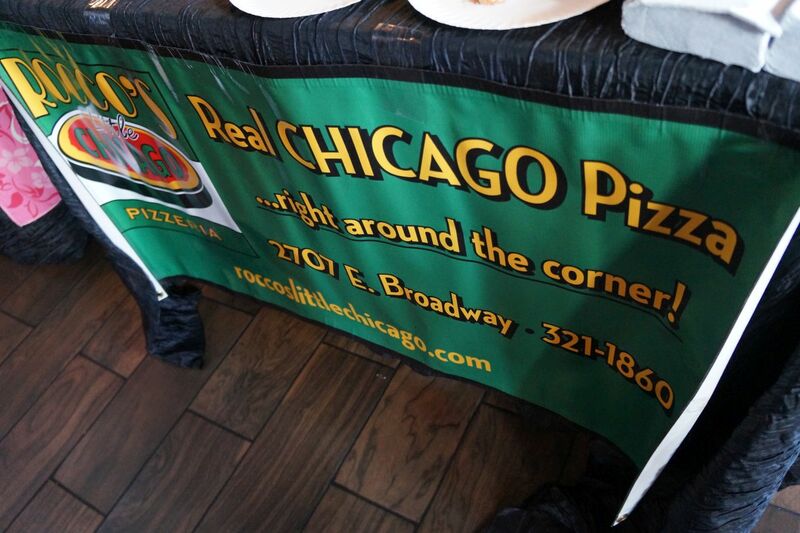 We love Rocco's for so many reasons beyond pizza. 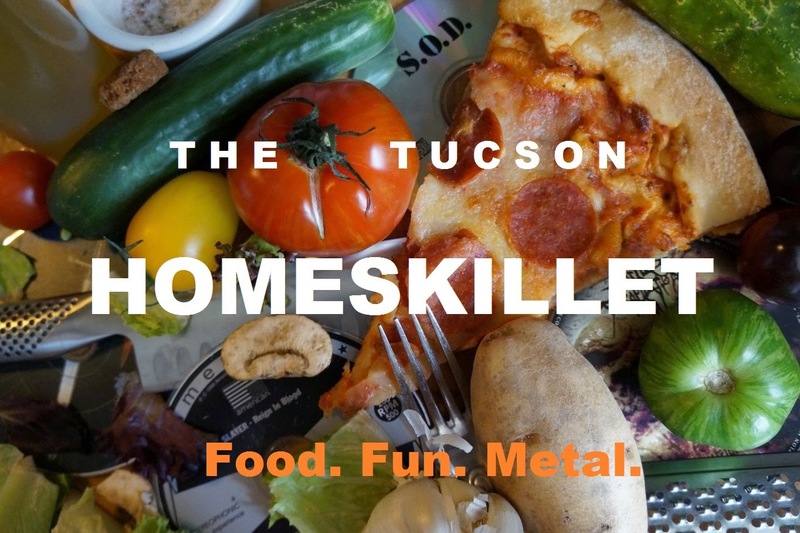 First off, the man himself is a Tucson treasure and his wings are some of the best we have had ever. Like ever! 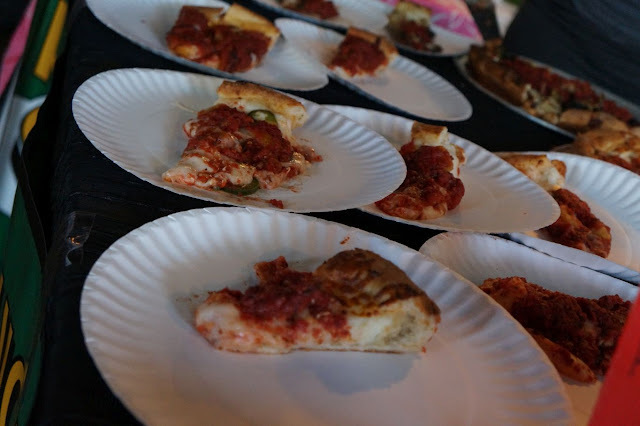 For the throwdown the Rocco's team brought in some thick and saucy slices for us to sample. 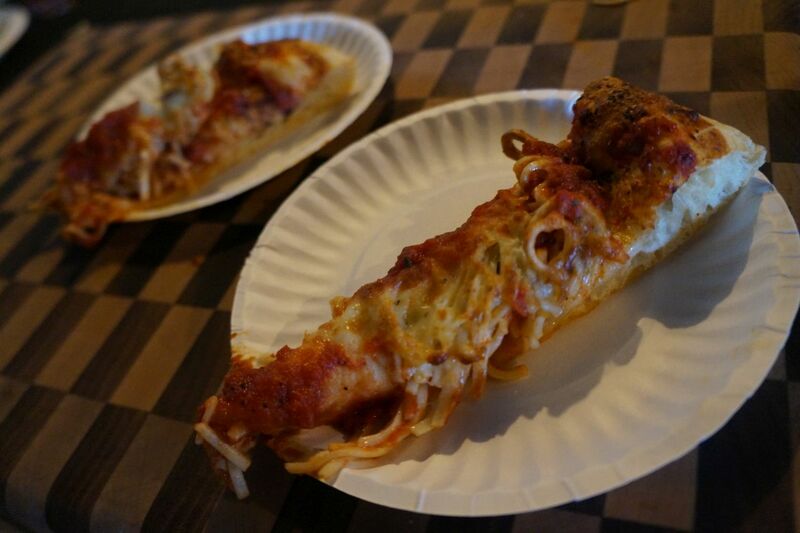 Not exactly the full on deep dish that they are known for but...pretty close. Really rich and really tasty. These hit the belly like 'boom!' so we were officially off and running with the pizza eat-a-thon. It was funny to see a steakhouse, like a renown and upscale steakhouse, compete in a pizza throwdown. 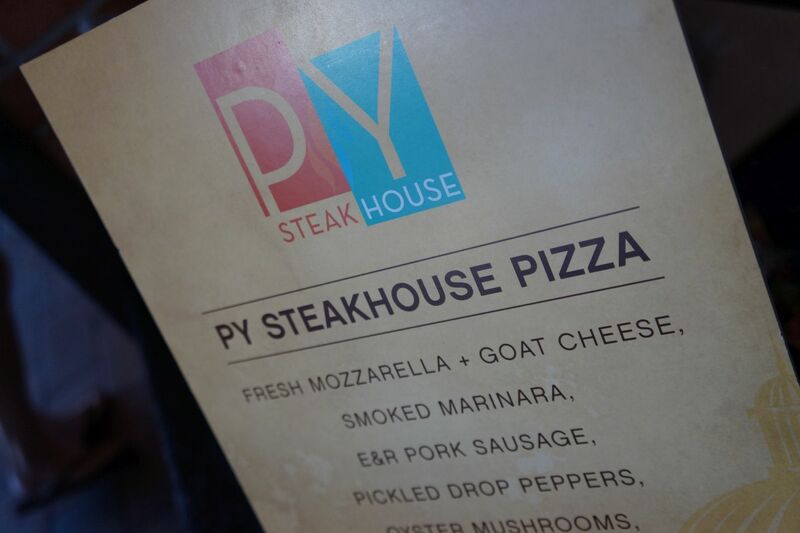 But then when you consider the executive chef at PY Steakhouse, Ryan Clark, the guy loves him some competition. 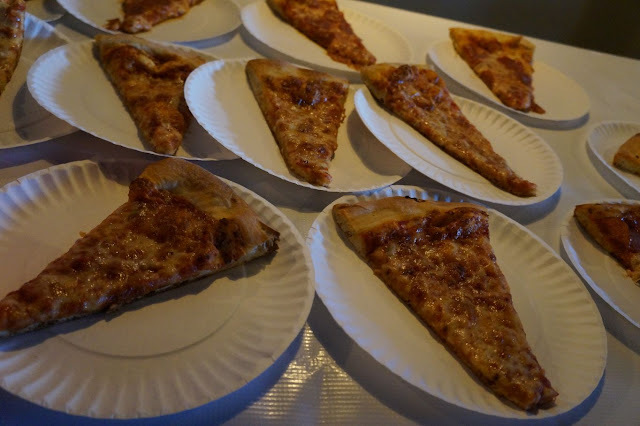 These slices were much more delicate and refined (duh!) and was a nice contrast to the heavyweights we ate previously. Loved the goat cheese mixed with mozzarella and the sausage was really flavorful and juicy. Topped with some fresh microgreens, PY's entry was sure to be in the top 3 by the end of the day. We were sure of it. Okay then...back to some serious slices. Fresco packed on three different types of protein, sausage, pepperoni and bacon, to make a meat-tastic triangle of drippy awesome. The crust had a really good crunch and the slice itself was a feat to take down. But...we did it. We did it with pride, honor and a stomach that was going "Whoa, whoa, whoa! What are you doing to me here?" Shut up stomach. We know what we are doing. 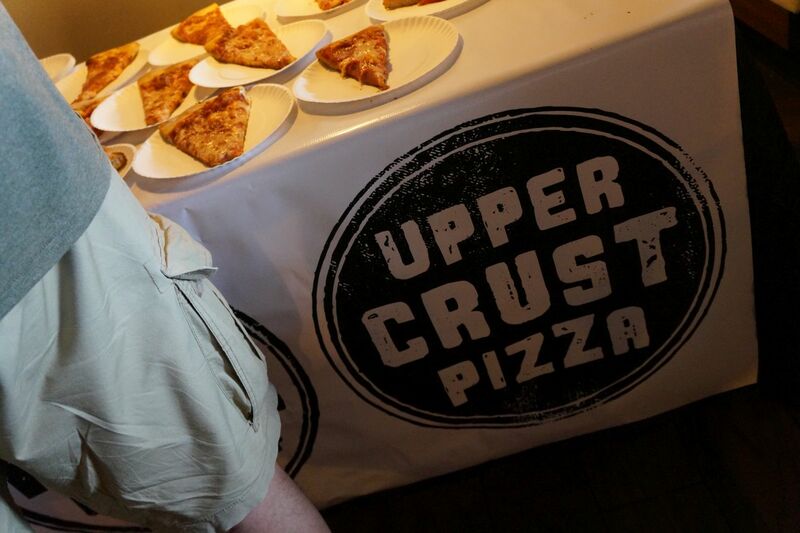 We were relieved to find that Upper Crust forgo their usual 'holy crap how am I going to eat that?' size slices that you can find on their lunch menu. These were manageable and were nicely basic offering a cheese option or pepperoni. 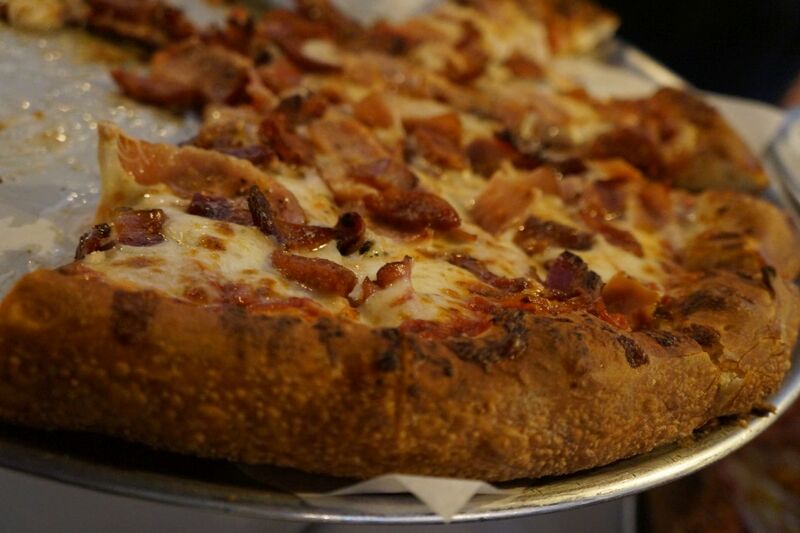 Upper Crust has always been one of our favorite pizzarias along the Campbell stretch of so many pizzarias. 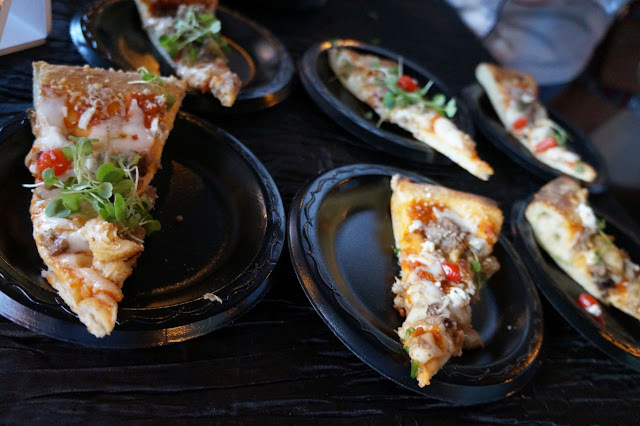 These slices delivered the goods and it was nice to see one of our neighborhood go-to pizza places come out and compete. Things are about to get serious here. 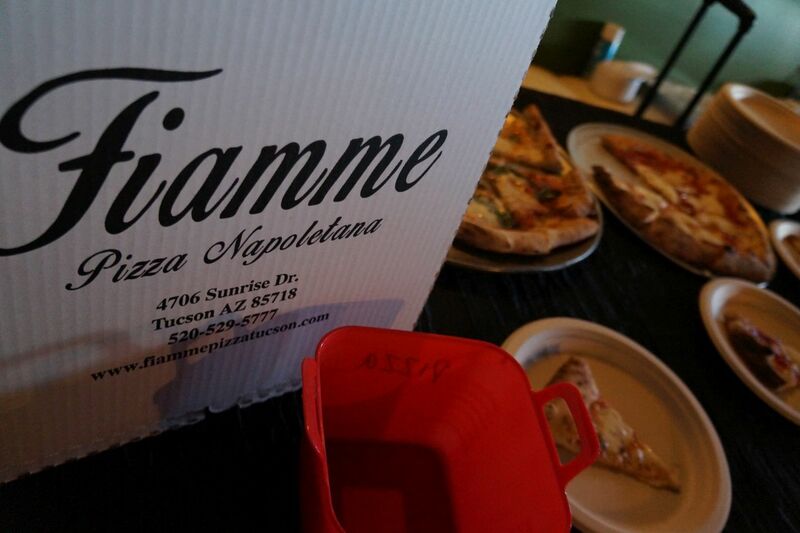 Fiamme is probably the best pizza in Tucson. At least top 3. 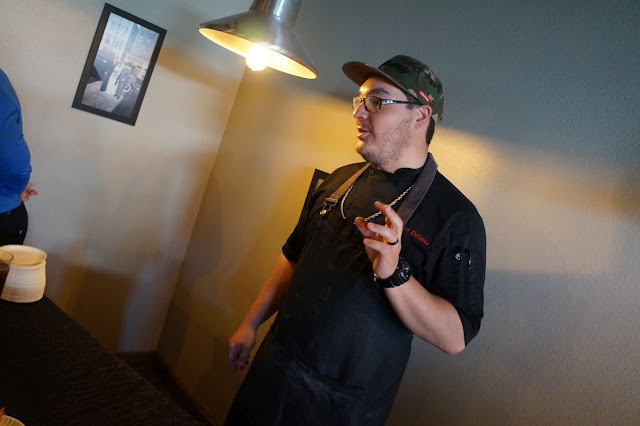 When it went from a food truck to brick and mortar we were a bit hesitant but after eating there our skepticism went out the door because the food there is so good. Here, they had a spicy three cheese option and the signature Margharita, which is a dance of house made mozzarella, fresh basil, homemade red sauce and finished with olive oil. Wow. Absolutely delicious. We thought we were kind of done here but...no. There was one more to take down. And this one was a beast. Chef Michael over at Mama Louisas decided to bring the hurt but putting the house specialty, Joe's Special, on a pizza. C'mon now. That is a lot of cheese, sauce, red pepper and pasta on its own but...on a pizza? As the finale of our pizza take down this one sent us off into the neither realms of carbs and cheese. It was spicy, it was fun but best of all Joe's Special totally worked as a pizza. So cheers to you chef Mikey! We also had to sample two different desserts. One was from Mama's Hawaiian BBQ, which was a delicious and amiable lemon tart. Really sharp without the overt sense of sweetness. The other came via Dante's Fire which was a melange of fresh summer berries, vanilla semifreddo, citrus foam and caramel wafer. Wow. All of it totally worked. 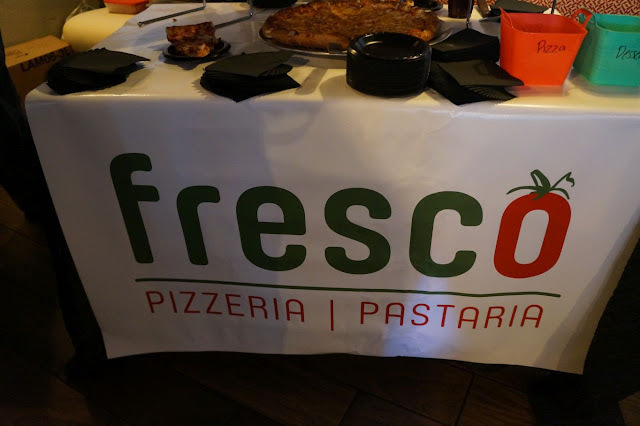 In the end Fiamme Pizza took the crown followed by Fresco and Mama Louisas. Dante's Fire took the dessert challenge which was not a shocker at all even though we really liked the delicate lemon wedge from Mama's. 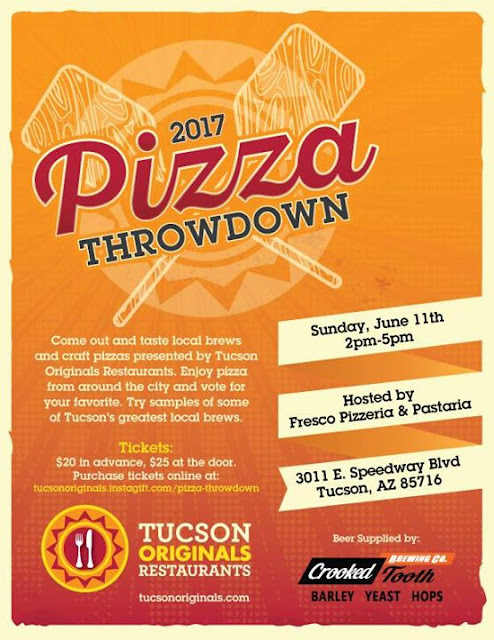 Thank you Tucson Originals for putting on this Pizza Throwdown and cheers to Fresco Pizza for hosting the event. Hopefully next year there will be more competitors and, hopefully, it can be held in a larger venue. Still, we had a great time and congrats to all the winners. sounds fabulous but I hope you are beginning to pay attention to your cholesterol! However, I did like the write-up and you totally covered EVERYTHING! GREAT JOB !! The food looks so delicious. My mouth may just start watering. I literally went from an buy best dissertation online to appetite rush. It's really nice to see you enjoyed.